Working in batches, sauté the cutlets for about 2-3 minutes per side until golden brown. Remove the cutlets from the skillet, drain on a paper towel-lined plate, and cover with foil or place in a warm oven to keep warm. 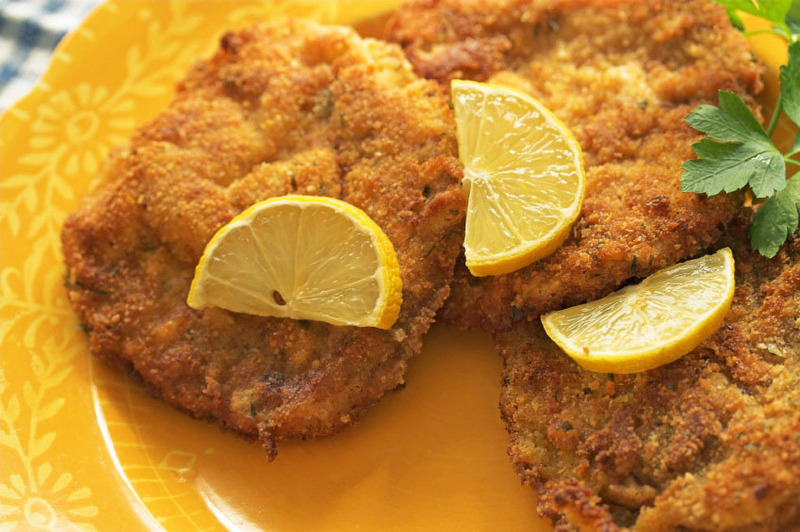 Serve with plenty of fresh lemon juice squeezed over the cutlets.